Dive365 > Want to dive? Whether you are new to scuba diving or a seasoned pro, Loughton Sub-Aqua Club are looking for new members who share our passion for diving. 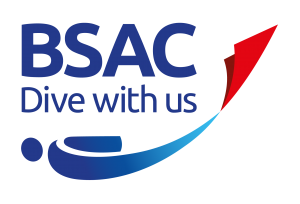 With BSAC your training is conducted in-house as part of your membership, and along with regular diving throughout the year, BSAC members are world renowned for their experience and promotion of safe diving. All diver training courses are delivered by qualified instructors over a series of weekly evening sessions and weekend open water training, with the opportunity for regular diving to hone your skills. The draw of the sea; colourful reef fishes and corals or historic wrecks, people want to dive for many reasons. In truth, diving is not for everyone, some people just can’t adjust to breathing underwater. For this reason we recommend that anyone interested in learning to dive attend a “try dive” session to see if the sport is for you. The “try dive” is conducted within the safe environment of a swimming pool with a qualified instructor. You will be shown the scuba equipment and how the equipment is used whilst diving, before moving into the pool. We will take you forward at your pace, we want you to enjoy yourself, each new experience is taught incrementally, to ensure your safety at all times. You wont leave the pool a diver but we hope you will leave wanting to expand your experiences beyond dry land and into the seven tenths of the earth only seen by most on the television. To conduct a “try dive” please contact us, as due to other training commitments we cannot stage “try dives” without notice. Once you have decided that diving is for you then it’s time to embark on the Ocean Diver course.